Microsoft is committed to supporting the communities in which our datacenters are located. Through the Datacenter Community Development initiative, we work to build local partnerships that deliver economic, social, and environmental benefits. This work furthers our company mission to empower every person and every organization on the planet to achieve more. The Datacenter Community Development initiative sponsors the Community Empowerment Fund to support nonprofits and community-led projects. Through a transformational approach that encourages increased collaboration between contributors and award recipients, we partner with communities to identify local needs and priorities. This initiative establishes global education programs, experiences, and training opportunities for local community members and datacenter employees. In partnership with higher education institutions, industry leaders, public sector organizations, NGOs, and community-led organizations, we develop and sponsor IT skills training for the local workforce with paths to careers in Microsoft datacenters for some students. 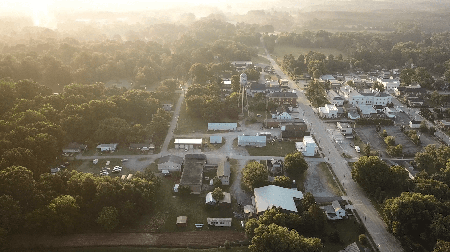 An extension of the Microsoft rural broadband strategy, this initiative focuses on enabling access to affordable, reliable high-speed broadband service in datacenter communities. We partner with equipment suppliers, local utility companies, local internet service providers, and other stakeholders to identify and deliver the most effective solutions. We also collaborate with community groups and elected officials to apply broadband technology for social, economic, and environmental benefits. Through community engagement, we identify the top environmental challenges in datacenter communities and sponsor strategic projects to address them. In the process, we help build ecosystems of local partnerships that strengthen the communities and drive enduring, sustainable solutions. Projects we sponsor include developing community renewable energy sources, improving air quality and access to fresh-water resources, and enhancing biodiversity.